SWIFT CURRENT, Saskatchewan -- On his 22nd birthday, DeWinton Alberta's Brock Radford earned his first ever PBR Canada event title. Radford was the only man in Swift to put up a score in the final round. Despite it being below the 80 point benchmark, it didn't change the numbers on the check, which topped the $6,000 mark. Earning 60 world points, Radford sits pretty heading into the kick off of the PBR Monster Energy Tour which begins June 2nd in Quebec City, QC. Also sitting pretty is 2016 Canadian Pro Rodeo Champion Jordan Hansen who should take back over the number one spot in the PBR Canada National Standings thanks to a second place finish on Saturday night. Hansen put up 86.5 points on the infamous Chip Shot for the long round win but was bucked off in the final round. For his work, Hansen earned over $3,500 and 30 world points which move him into a tie for 54th in the PBR's World Standings. Third in Swift went to New Zealand's Fraser Babbington. The Kiwi put up 86 points in round one to earn $2,295 and 20 world points. Heading into the Southeast Saskatchewan event, the first outdoor PBR Canada Touring Pro Division event in 2017, Babbington ranked 74th on the planet. Rounding out the top six were Canadian's Cody Coverchuk (Meadow Lake, SK) and Jackson Scott (Kamloops, BC) in fourth and fifth respectively. Idaho's Thor Hoefer finished sixth. The following are the official results from the Swift Current, SK PBR Canada Touring Pro Division event on May 27th, 2017. Round one: 1. Jordan Hansen on Outlaw Buckers' 116 Chip Shot, 86.5 points, $918.00; 2. Fraser Babbington, 86, $688.50; 3. Cody Coverchuk, 85, $459.00; 4. Jackson Scott, 83.5, $229.50; 5. Brock Radford, 83; 6. Thor Hoefer, 81; 7. Kurt Shephard, 80.5; 8. (tie) Nathan Burtenshaw and Dakota Louis, 79; 10. (tie) Justin Lloyd and Zane Lambert, 78. Finals: 1. Brock Radford on Big Chief Bucking Bulls' 366 Jersey City, 78 points, $2,295.00; no other qualified rides. Aggregate, total money and points earned: 1. Brock Radford - DeWinton, AB - 161 points on two bulls, $6,043.50, 60; 2. Jordan Hansen - Okotoks, AB - 86.5 points on one bull, $3,595.50, 30; 3. Fraser Babbington - Gisborne, NZ - 86, $2,295.00, 20; 4. Cody Coverchuk - Meadow Lake, SK - 85, $1,530.00, 15; 5. Jackson Scott - Kamloops, BC - 83.5, $872.10, 10; 6. Thor Hoefer - Priest Falls, ID, 81, $428.40, 5; 7. Kurt Shephard - Atherton, QLD - , 80.5, $321.30; 8. (tie) Nathan Burtenshaw - Coonamble, NSW - and Dakota Louis - Browning, MT - 79, $107.10 each. 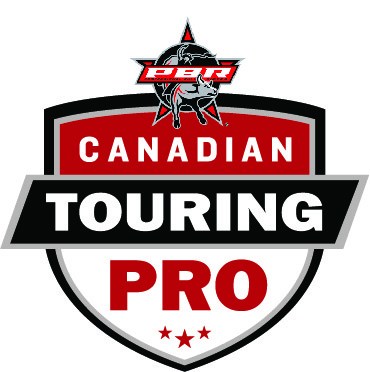 The Swift Current, SK stop was number six on the 2017 PBR Canada Touring Pro Division schedule. Next up is stop number seven in Moose Jaw, SK on June 2nd and 3rd and the kick off to the PBR Monster Energy Tour for 2017 in Quebec City, QC on June 2nd and 3rd.